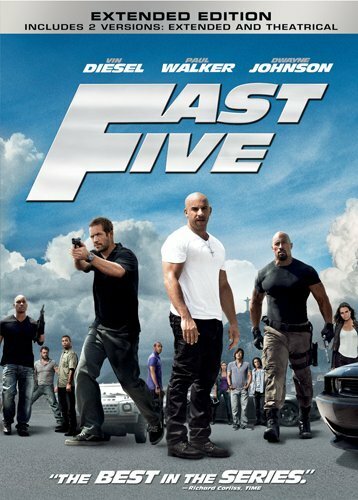 MOVIES: Fast, Fast, FAST FIVE!! whew! FAST 5… i haven’t seen any of the other Fast movies (evidently there are a few, maybe 5?) but this one is Really Amazing: lots of beautiful scenery (Rio de Jenaro & environs) brawn, brawling, Good Guys vs. Not So Good Guys vs. The Really Bad Guys, and REALLY FAST CARS! p.s.2 Feeling a wee bit sick today (some kind of flu) so re-posted this something from Somewhere Else (my ‘mostly’ Sci-Fi blog that Needs a Bit of Work!) But this movie really can be inspirational if you look past the rubble & if you’re in the mood for mayhem! This entry was posted in Lent, MOVIES !! and tagged Action Flicks, Action movies, Drama, Dwayne Johnson, entertainment, family movies, fast cars, Fast Five, Fast Five the movie, Fast movies, Fun movies, Paul Walker, Rio de Jenaro, The rock, Vin Diesel. Bookmark the permalink.